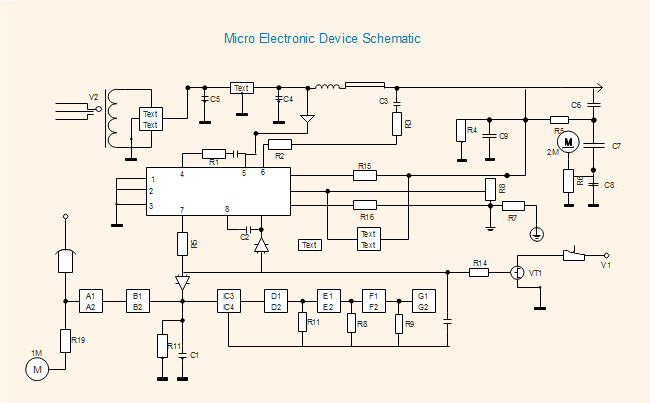 Description: If you are the user of Edraw, you can download this electronic device schematic template for free and edit for your own use. All the electrical symbols on this template are included in our electrical schematic drawing software. Through this schematic template sharing community you can share your awesome creations and inspire other diagram designers. All shared engineering diagrams templates are in vector format allowing to edit and customize. Explore whatever fits you best and download for your own use.